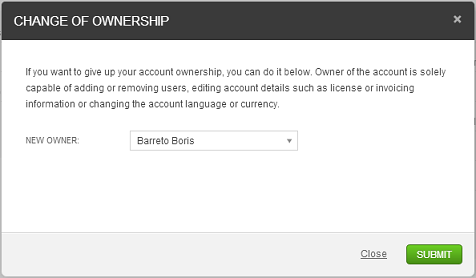 This function allows transferring the ownership to another account member. It’s useful in case the account owner wants to transfer the responsibilities. This action can only be performed by the account owner within the Account settings. 1. 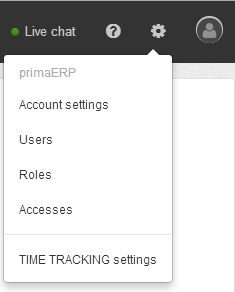 Click on "Settings", which is located at the top right side of the screen. 2. Select "Account Settings" on the the sub-menu. 3. In the “General” tab, under the owner field, press the button “change”. 4.Select the new owner from the drop-down list. 5.Finally click on the button “Submit”. As soon as the account is transferred, the new account owner will receive an e-mail confirming the changes.